Whether you are brand new to the documentary approach, or you have been doing it for a while, or even if you are ready to go into business with it, this breakout is for YOU! Not only does Felicia dive into the nuts and bolts of documentary and documentary business, but most importantly, she pours her soul into the WHY. Why should we make these images? Why are we afraid to? She will teach you how to unapologetically photograph your (or someone else’s) real life. All the things we will truly appreciate seeing in an album, 1, 5, 10, 50 years from now, without fear, without judgement, without apologies. A few years ago I met Felicia , I remember seeing her images and thinking, wow, this.is.it. She is a truth teller, capturing the moments that actually happened, and I’m convinced the moments that one day you will truly miss. She is a the type of human that brings you gorgeous flowers and wine when you invite them over, laughs with you, cries with you, feels the ups and downs of life with you, and that all flows through into her work and that’s what makes it shine. I think the power in this breakout is in her story telling. How she draws you in with her 58 page soul stirring e-book and gorgeous images. I laughed, and I cried, truly. Images that made me smile, interviews that made me cry because they scream “I feel that too” and “this is truth” “this is the nitty, gritty, beautiful, heartbreaking life that needs to be captured exactly the way it’s being shown.” Felicia has such a gift in her work of making it relate to your truths. She dives in to the business side as well and shows you what she has done to have success shooting documentary style work, takes you behind the scenes to show her why, and sets you up to take the images that matter. It’s so obvious she poured everything into this, and it did not disappoint. Felicia was my first one on one mentor. I saw her photography and instantly fell in love with her art. When I was first exploring finding a mentor someone told me "find a Photographer whose vision you admire and go from there" and that is what I did. I started with some online Skype sessions (At the time I lived in California) but was thrilled when I happen to later re-locate to Vancouver and started to have in person mentoring. I set up a personalized program with Felicia with goals and my journey with her was incredible! Not only did she guide me to make stronger images and show me how to photograph in the field. She also understood how to support all of me as an artist and so was able to navigate a difficult time for me - with the right amount of encouragement and support. She pushed me to become a better photographer and I am very grateful. Felicia is a true gift as a teacher and I consider myself very lucky to have got the chance to work with her in this capacity. During your workshop, I saw how you work as a mentor so I had some idea of what to expect. I knew that you are very full-hearted when talking about photos of the students and you go deeply in details, which makes it a rich experience. I am very pleased that I had the chance to mentor with you because it was such a great experience for me. Felicia has taken this e-book to a whole new level. 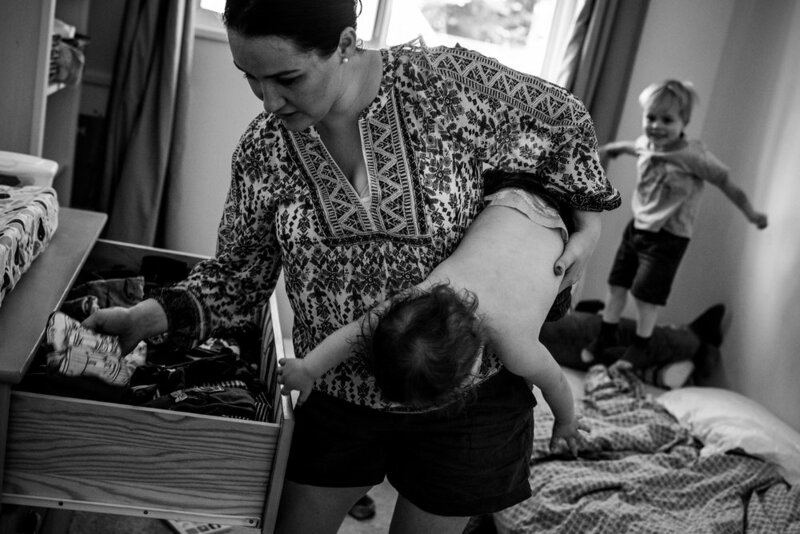 She created Documenting the Unapologetic Life, and filled it with the most valuable insights into the world of documentary family photography and she isn’t holding anything back. Making the leap into this genre isn’t always easy, but Documenting the Unapologetic Life is a beautiful and relatable insight into the what, why and how to do let go of your fears and jump in head first. There is so much information inside that it is almost unbelievable! She shares behind the scenes videos, editing, even some invaluable insight into creating a business that works for you without compromising your artistic style! If you’ve been thinking about it, stop… just buy it! Does editing mixed lighting make you want to throw your computer against a wall? I can help! Sign up below to get updates on educational content (workshop, e-book, blog, podcast) and mentorship programs. And as a thank you, I will also send you a link to download a tutorial about editing in mixed lighting situations! Thank you! Check your email and your free resource will be there shortly. They say truth is stranger than fiction; it's more beautiful too. Take a step back from the perfectly orchestrated set-ups and learn to appreciate and document the world just as it is." For The Documentary Approach and The Full Frame workshop alumni only: Now accepting applications for 2019 Group Mentorship Program. Stay tuned for future workshops! Show me the truth, so I can find my story in your photos." Do you find yourself wanting to photograph the other facets of life that do not fit into a neatly curated box, but were too afraid to do it? This e-book will take you on an introspective journey, exploring life and reality, and empower you to confront those fears. I'm also available for one-on-one mentoring, both in person and online.